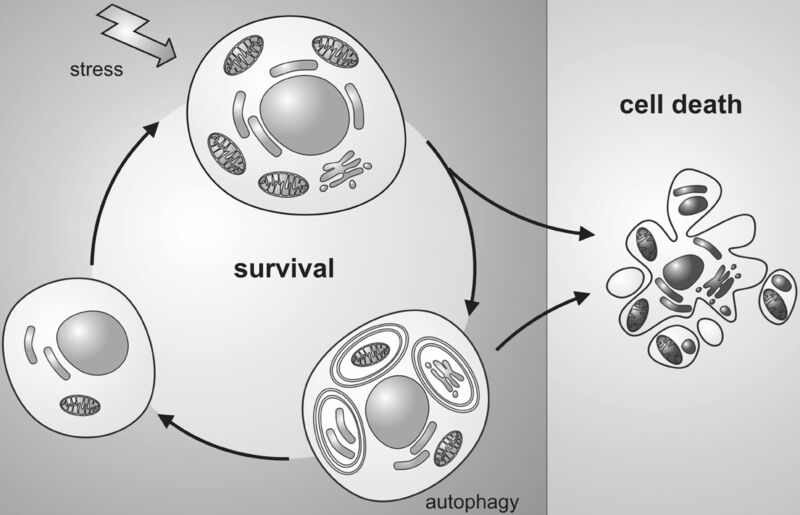 In a study published in Current Biology today, researchers from King's College London uncovers the precise mechanisms by which autophagy leads to cell death. The study used a mouse model for the polyglutamine disease dentatorubral-pallidoluysian atrophy (DRPLA), progressive acquirement of an ataxic phenotype linked to severe cerebellar cellular pathology, characterized by nuclear degeneration through nucleophagy-based LaminB1 degradation and excretion. DRPLA is caused by the expansion of a CAG stretch in the ATROPHIN-1 (ATN1) gene. Patients display ataxic and choreoathetoid symptoms as well as myoclonus, generalized epilepsy, and dementia with extensive cellular degeneration found in the basal ganglia (e.g., the globus pallidus, GP), brainstem (e.g., the red nucleus, RN), and cerebellum (primarily in the dentate nucleus, DN). The experiments revealed that a "progressive stall" and then a "chronic block" occur in autophagy, in certain disease-specific areas of the brain. In this "persistent stall," the brain cells get "confused" and try to maintain a normal homeostasis through alternative molecular pathways, or routes. The alternative cell clearance process depletes the cell of material, damaging its nucleus and cytoplasm and leaving behind cell corpses with a fragile nucleus and thin cytoplasmic layer leading to cell atrophy and degeneration. Ebrahimi-Fakhari D, Wahlster L, Hoffmann GF, Kölker S (2014) Emerging role of autophagy in pediatric neurodegenerative and neurometabolic diseases.Pediatr Res 75 (1-2):217-26. DOI: 10.1038/pr.2013.185 PMID: 24165736. 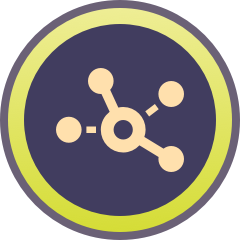 Autophagy is a cell self-digestive, lysosomal degradation pathway. The three subtypes of autophagy, macroautophagy, microautophagy and chaperone-mediated autophagy, differ in the way that materials are delivered to the lysosomes for degradation. 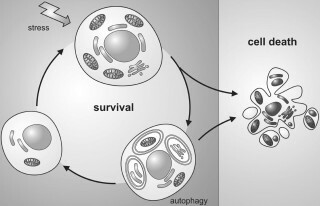 While recent studies reveal that the cellular process of macroautophagy (involving critical steps such as formation, trafficking, fusion and degradation of autophagosomes) is evolutionarily conserved from yeast to mammals, the regulation and functional adaptation of autophagy in various cells and tissues is poorly understood. This chapter provides an overview of what is known about autophagy machinery and highlights the recent findings of autophagy regulation in neurons. Elucidation of neuronal autophagy function will ultimately aid in drug target identification and perhaps lead to a rational therapeutic strategy to combat neurodegenerative diseases.